In an interview with Billboard, Jay Z said he spoke with Iovine, a music recording industry titan, about potentially joining forces to help get Tidal off the ground. The argument, like the goal for Tidal, is that his new service comes to the aid of musicians disenfranchised by current streaming service contracts. Tidal is one of two streaming service arms created by Swedish tech company Aspiro, which was purchased in January by an investment entity backed by Jay Z for a reported $56 million. Set to relaunch later today, Tidal looks to level the playing field for musicians, many of whom are unhappy with streaming music deals arranged by music labels. 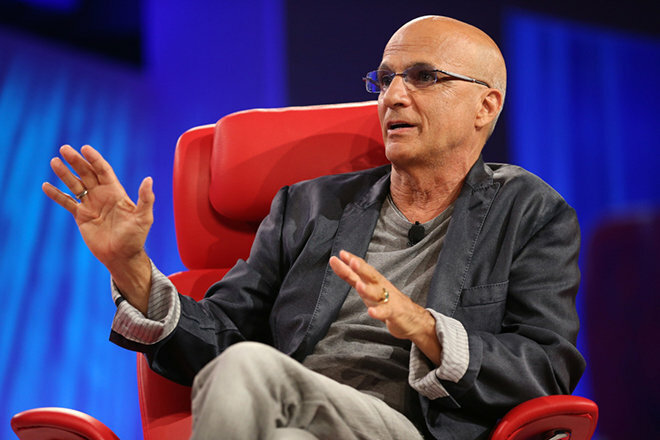 Iovine supposedly attempted to lure away A-list artists that have since been announced as first-tier Tidal backers by offering better up front payouts. Apple is widely expected to launch a redesigned and rebranded Beats Music in the coming months. Much like Tidal, Apple's service will reportedly be subscription based, but is thought to rely on a traditional song royalty model that sees labels get a taste of proceeds on per-play basis. Tidal, on the other hand, gives equity stake to first-tier artists like Kanye West, Daft Punk, Beyonce, Rhianna, Coldplay, Calvin Harris, Madonna and more. "I think that's just his competitive nature, and I don't know if he's looking at the bigger picture: That it's not about me and it's not about him; it's about the future of the music business," Jay Z said. The rap idol hopes Tidal's new model will drive more direct compensation from streaming plays, while serving as a catalyst for artist experimentation. Not beholden to record labels, musicians would be free to create almost anything they desire. For example, artists could break conventional format and release 18-minute songs, or meld genres into completely new hybrids, testing for audience response. In addition to a totally new compensation method, Tidal differentiates from other streaming music providers by offering video and a special pricing tier for audiophiles seeking high-resolution playback. Tidal is scheduled to relaunch later today priced at $9.99 per month for normal quality streams, while the high-resolution service starts at $19.99 per month.